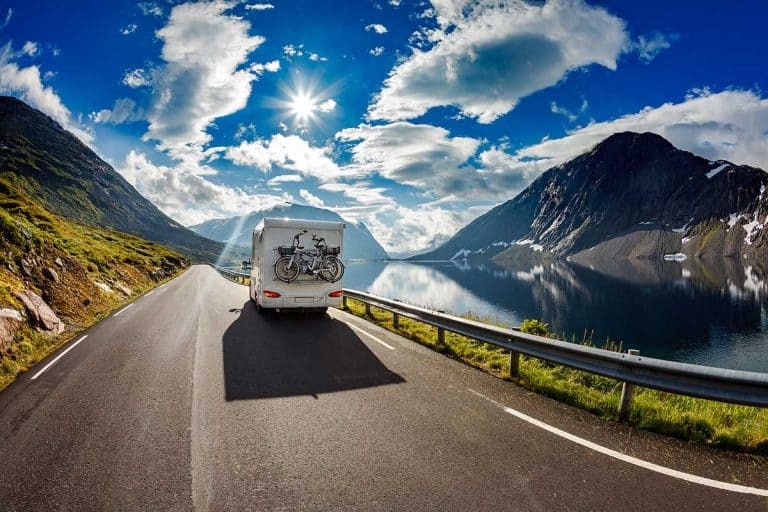 Every RV owner should know the significance of tire pressure and how to monitor tire pressure in order to decrease the chances of tire blowouts and other problems that may arise. I was wondering what factors go into determining the tire pressure of an RV, so I decided to do some research on RV tire pressure. The tire pressure on an average 16″ RV tire can be anything between 35-80 PSI or 280-550 kPa. That’s a wide range – and you need to find the right number for your specific weigh and number of wheels. Manufacturers provide data-plates in all RV’s that include the recommended maximum tire pressure, based on the maximum weight of the RV. Therefore, if you load your RV lightly, then your tires may be overinflated. 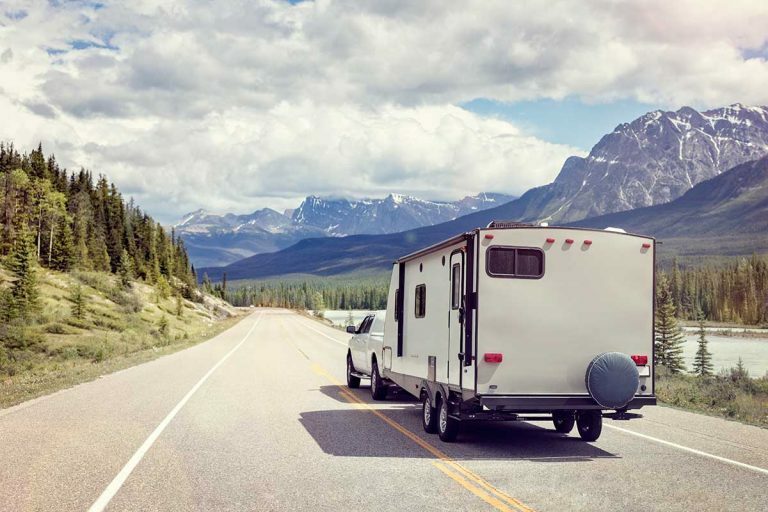 There are other factors that go into determining the correct tire pressure for the tires on your RV, but you should be alright if you base your decision on the manufacturer’s recommendation and make sure that your RV is not loaded too lightly. If it is loaded lightly, then make the needed adjustments so that you do not damage your tires. In this article, I will go more in-depth on the topic of determining the tire pressure for the tires on your RV. I will also go over the basics of tire air pressure, the significance of tire pressure, what happens if your tires are under or over-inflated, where to find tire specifications, and how to monitor your tire pressure. PSI, or pounds (of force) per square inch, is the unit of pressure chosen by most people in the US to represent tire air pressure. You may also see kPa mentioned here and there – that’s kilopascal, a unit which represents the same measurement but on a different scale. Maintaining the proper tire air pressure is a matter of safety for you, the passengers you may have, and the vehicles that may be around you. 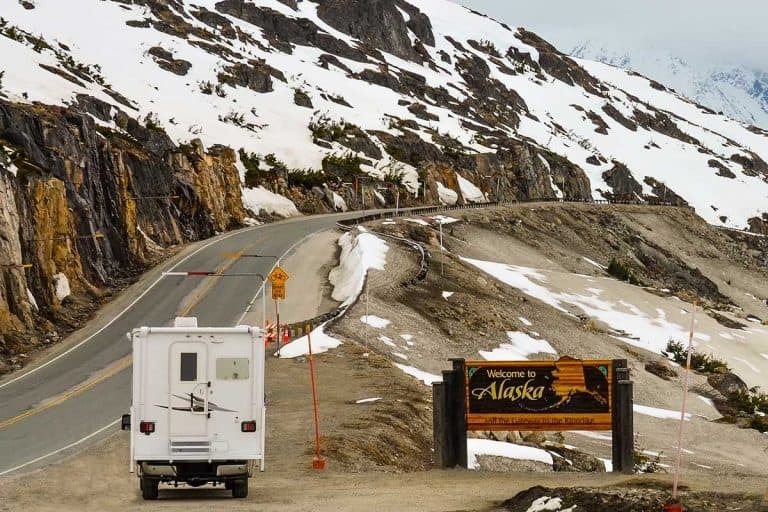 What Happens if Your RV Tire Pressure is Too High or Too Low? 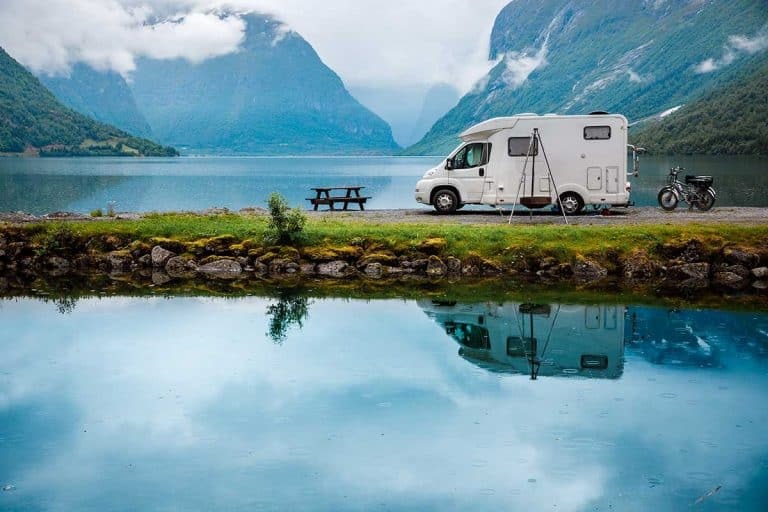 Driving your motorhome or towing your travel trailer or 5th wheel with the wrong level of tire pressure can lead to all sorts of problems, affecting your stability, ease of ride and even gas mileage. The over-inflation of tires makes the sidewalls and tread of the tire harder than normal. This can limit the performance and traction of the tire. Also, it may cause uneven tire wear. Also, tire pressure that is too high can cause a slight increase in gas mileage by reducing the rolling resistance of your tires. Plus, overinflation will lead to a harsh ride, wobbly handling in the wind, and reduced braking effectiveness that is especially reduced on wet roads. If you’re towing a travel trailer, it could also lead to sway issues. Read more on how to prevent travel trailer sway in this post. Most tire blowouts are caused by underinflation. Underinflation will force tires to come into contact with the ground more than properly inflated tires would. To be more specific, the sides, or shoulders, of tires flex more when overinflated which produces an excessive amount of heat, and excessive amounts of heat lead to tire failure. If your tires are under-inflated by just 10 or 15 psi, then the temperatures on the sides of the tires can reach 200 degrees Fahrenheit. Is High or Low Tire Pressure More Dangerous? There is a simple answer to this. Low tire pressure is more dangerous than high tire pressure. Low tire pressure leads to dangerous blowouts while high tire pressure is generally less dangerous. This is true as long as your tires pressure is below the “maximum inflation pressure.” If you go over that, you could end up with a blowout as well. Of course, there are other safety issues associated with high tire pressure, such as increased sway when towing. Overall – sticking to your right tire pressure recommendation is always best. There is almost always more than one place to check your tire’s recommended specifications. WARNING: Keep in mind that the previously stated places will typically only represent the minimum or maximum PSI, and they do not necessarily represent the best possible tire pressure for your vehicle. Read the next paragraph for more information on finding the correct tire pressure for your vehicle. Setting the correct tire pressure on the tires on your RV is crucial to the tire performance, tire life, vehicle handling, and, most importantly, the safety of you and the people that are around you. In order to get the best possible tire pressure, you should base your figures on the load being carried by the tires. When you base the tire pressure on the load being carried by your tires, you ensure that the tires flex properly, are in the correct shape, will not produce an excessive heat build-up, and provide the strength to carry the total weight of your RV without losing tire patch (contact with the road). Tire manufacturer’s like Michelin here provide detailed tables for load & tire pressure. The basic rule of manufacturers is to make sure that all tires on the same axle are set to the exact same pressure. This is based on the heaviest side. Weighing an RV by axle positions and assuming that the load is equal on both sides of an RV is a bad idea. There is no way to calculate tire pressure without knowing the individual wheel weights. You could weigh the full axle, weigh one side, and then subtract from another side to get the weight of the other side. Keep in mind that it is common for a difference of 1,000 pounds or more to be present between different sides on the exact same axle. Also, dual axles are close together, and they can be treated as a single unit (one wheel). The next best source of information is the RV dataplate. RV manufacturers are mandated by law to post a recommended tire pressure on the dataplate. 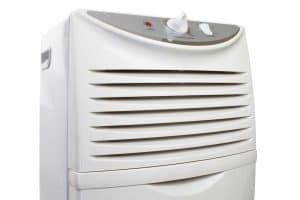 Manufacturers expect the owner to load the unit to its maximum weight. This is why they always post tire pressures based on the maximum weight of the RV. You probably will load your RV lightly if you use the dataplate as a source. This will eventually lead to overinflated tires. Read the paragraph above to learn about the problems that can arise if you overinflate your tires. On the flip side, you could load your RV beyond the axle rating (GAWR) or Gross Vehicle Weight Rating (GVWR). In that case, choosing to use the dataplate pressure will lead to under inflation. Finally, using the dataplate as a source may not be a good idea because it does not take account the fact that an RV may be loaded in a remarkably unbalanced condition which is quite common. It is important to understand that the pressure that is shown on the sidewall is not the maximum pressure for the tire. It is the minimum pressure needed to attain the maximum load rating of the tire. Setting your tires can be set to the pressure indicated on the sidewall will lead to obtaining the design load rating of your tire. Keep in mind that the pressure indicated on the sidewall does not take into account all of the many factors that go into choosing the optimum tire pressure. Monitor your tire pressure with a tire pressure monitoring system (TPMS). Your RV might have one pre-installed, but if it does not, then simply buy one and install it in your RV. You could monitor your tire pressure the old fashion way with a tire pressure gauge too. Digital tire pressure gauges are a decent option. This may seem like common sense, but some people do not realize that tires lose air pressure over time. They lose around 1 pound per square inch (PSI) every thirty days, and they lose around 1 pound per square inch for every 10-degree (Fahrenheit) decrease in temperature. Remember to monitor your tire’s air pressure, or else you may suffer the consequences. You may want to set reminders to check the tire pressure unless you have a tire pressure monitoring system that alerts you when tire pressure is too low or high. Maintaining the proper PSI, or pounds (of force) per square inch, is very important since it can have an effect on your safety and the safety of those around you. A tire pressure that is too high and a tire pressure that is too low will lead to tire damage and other issues, but a tire pressure that is too low is worse because it leads to tire blowouts. 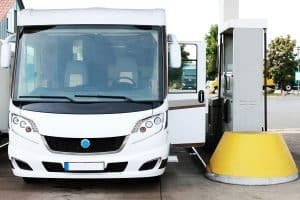 You can figure out the specifications and correct tire pressure for your tires in a variety of ways, but the best way to determine the correct tire pressure, in my opinion, is to look at what the what the manufacturers provide in the dataplates which are included in all RV’s. 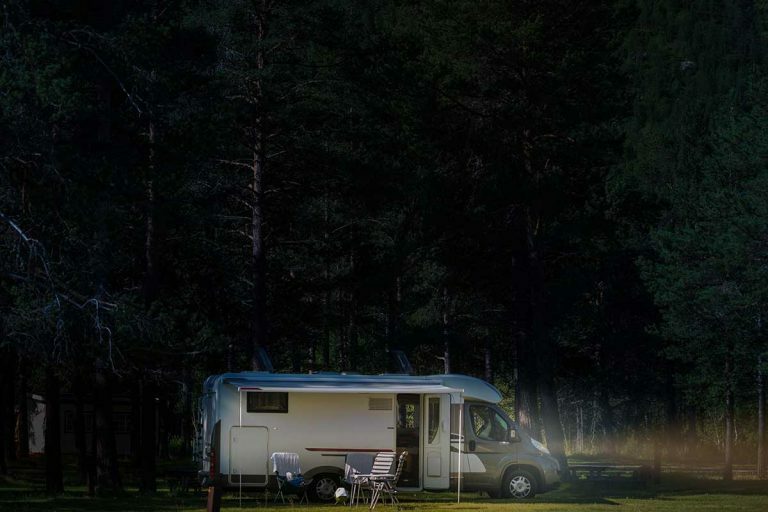 Dataplates include the recommended maximum tire pressure which is based on based on the maximum weight of the RV. 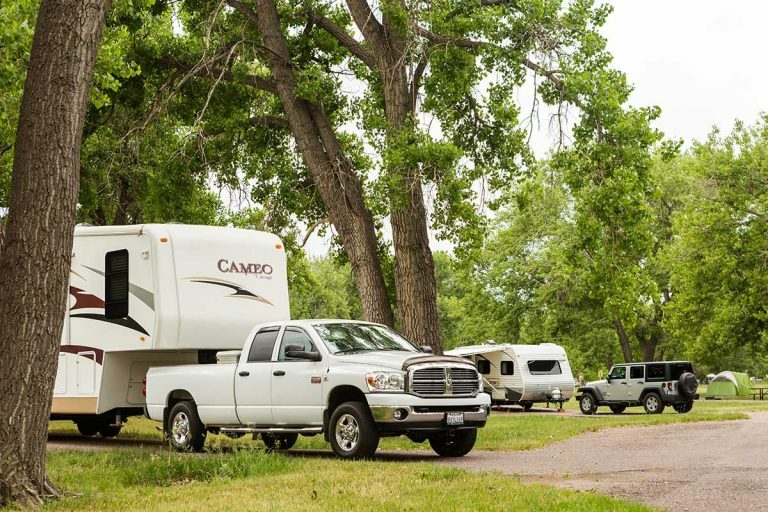 Therefore, if you load your RV lightly, then your tires may be overinflated (if you make your decision based on the manufacturer’s recommendation). Previous PostShould a Travel Trailer be Level When Towing? Next PostWhen is the Best Time of Year to Buy a Travel Trailer?